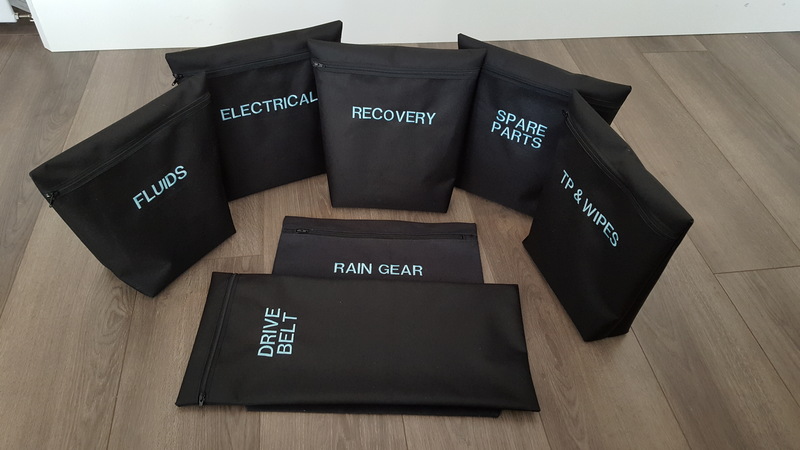 Expertly crafted cargo organization bags. Made in the USA by Disabled Veterans. 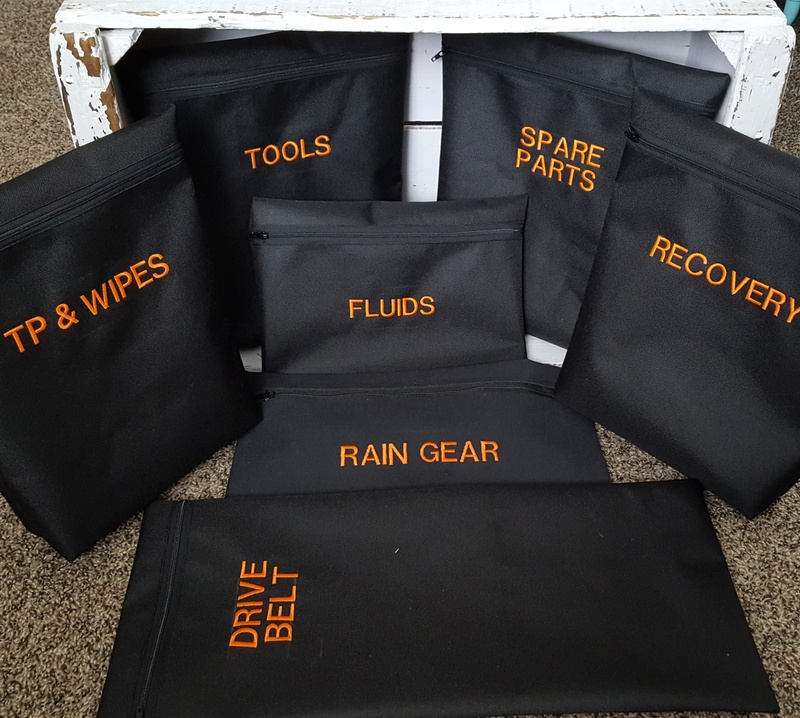 This listing is for a full set of 7 individual made-to-order cargo bags. 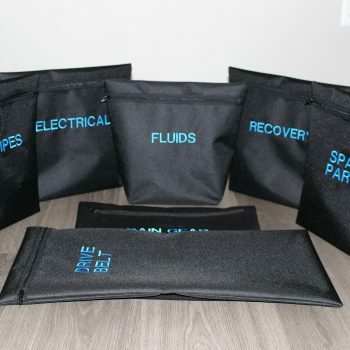 Our cargo bags are expertly hand-made and embroidered in the USA by Disabled Veterans. 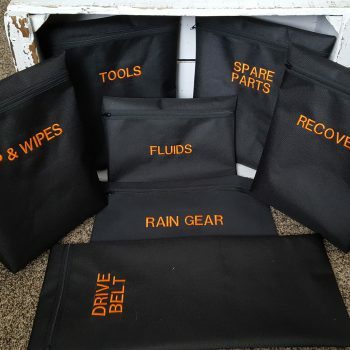 These bags are the perfect solution for organizing the cargo box on your UTV, ATV, or Camper. They are custom designed by UTV Trails for both function AND form! 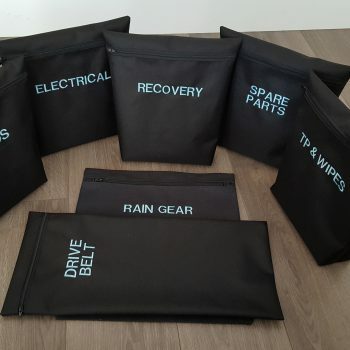 Rain Gear bags are made from a breathable cotton canvas to prevent mold. 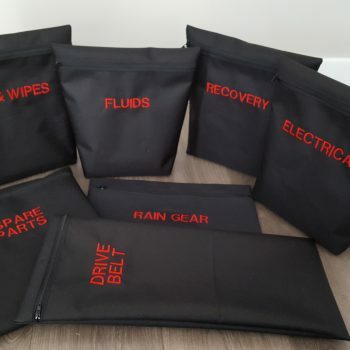 The remainder of the bags are made from a PVC-lined polyester canvas, making them water-resistant. 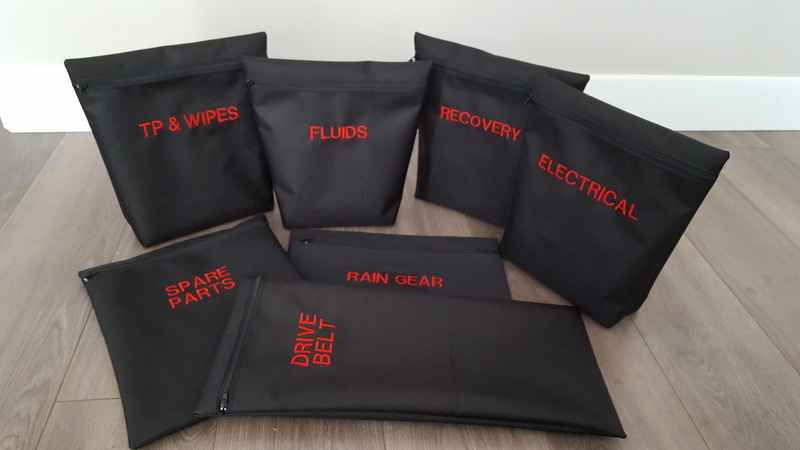 All bags are washable. 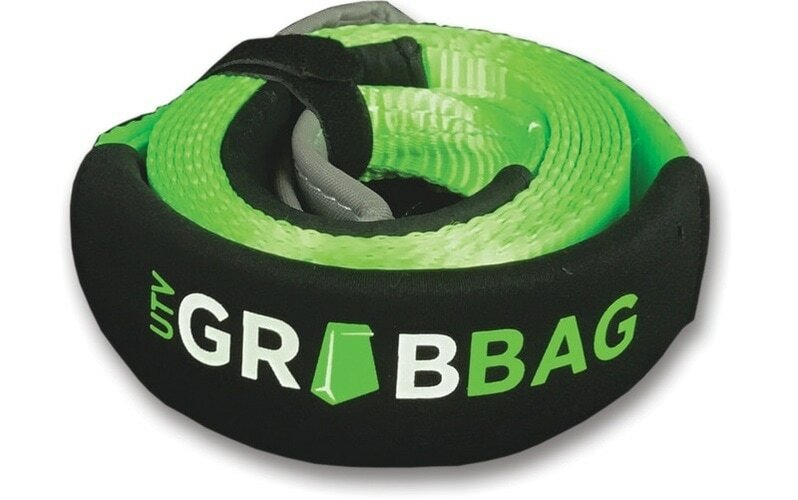 Equip your UTV Trails Recovery bag with great gear from UTV Grab Bag and save! No tow hook? No problem! 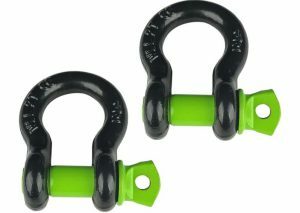 The “Softy” soft shackle can wrap around other anchor points on your machine without harming the powder coat. 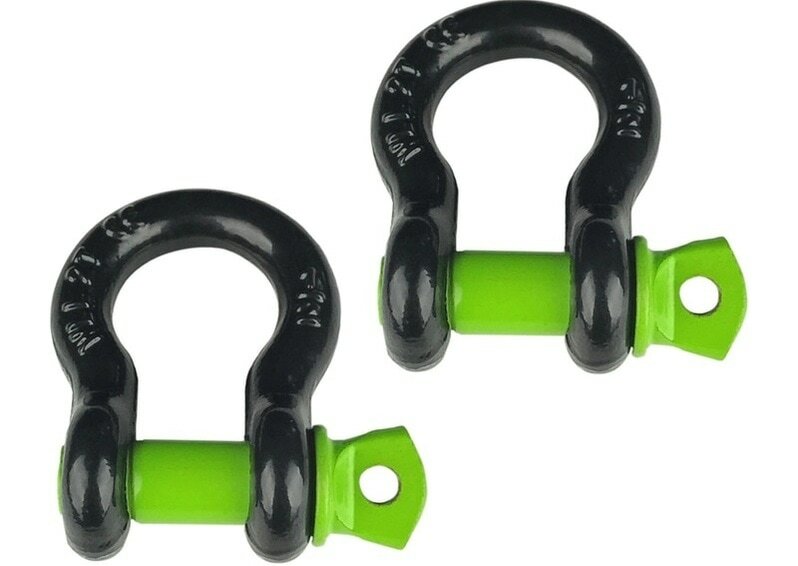 These d-ring shackles are ideal for hooking the recovery strap to your existing tow-points. The soft-loop UTV recovery strap is rated for 11,000lbs. 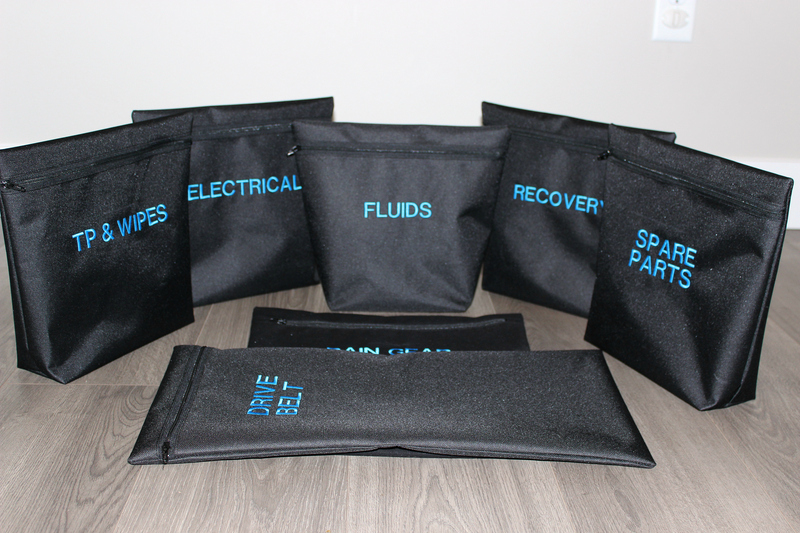 These bags are individually crafted to your specifications. We do not carry inventory of anything but the materials to create them. Our turnaround time is up to 5 business days. It is often faster than that for smaller orders.